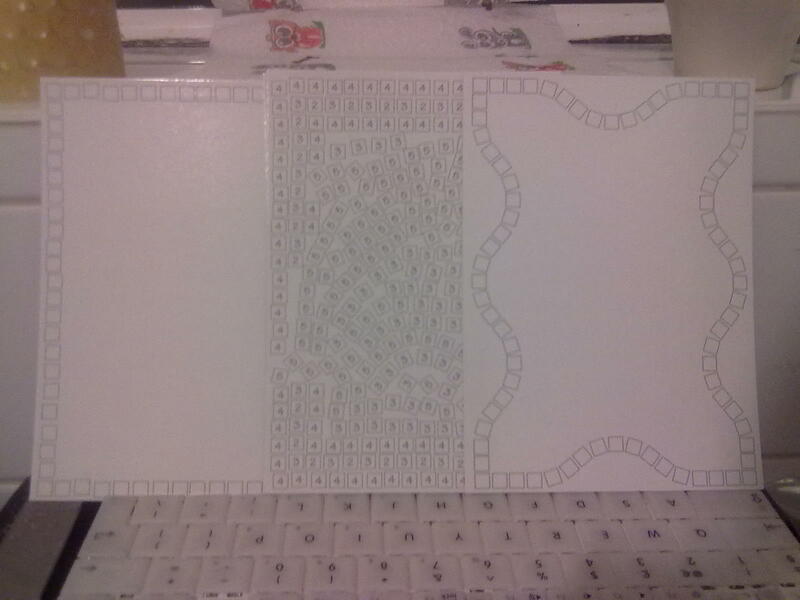 imwellconfused.me.uk: The IzziWizzi Kids and Galt Mosaic Masterpieces Review. 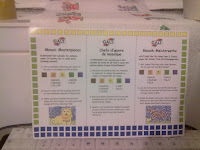 The IzziWizzi Kids and Galt Mosaic Masterpieces Review. 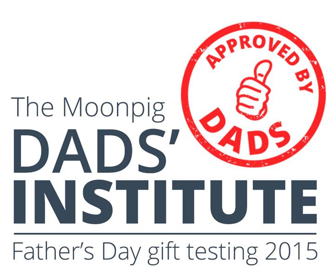 Today's post is bought to you from IzziWizzi Kids and James Galt Toys. Thank you for the opportunity to work with you on this and the playfest. 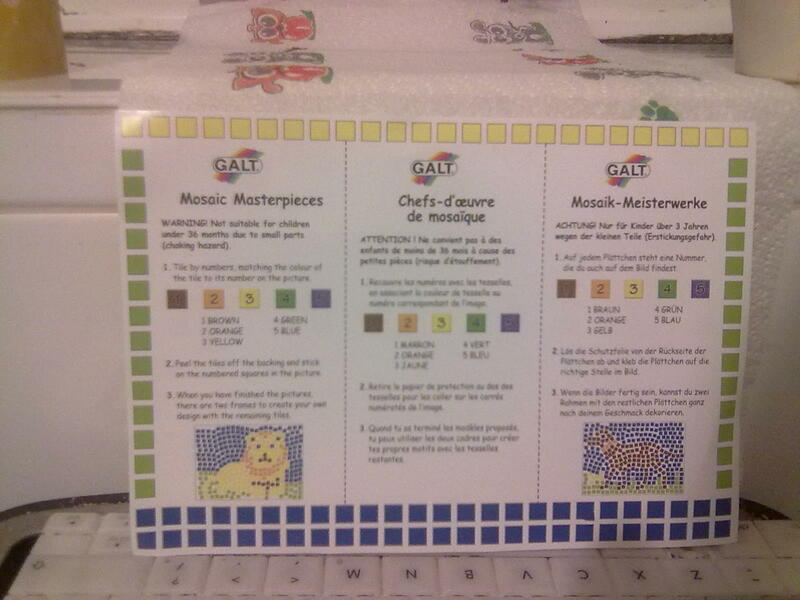 The Galt Mosaic masterpieces is one of the many craft and activity sets Galt has to offer, as well as other amazing goodies. Upon opening the minimal packing you find the following items. That is really it! Seriously, for such a small package it includes a lot of goodies. Also, low on packaging means better for the environment this makes it even better! Now onto the play. as your all here abotu that today! V unfortunatly was not too impressesd with the set, she seemed to get fustrated with the small pieces, I think if she had taken more time to realise the pieces come off easier one by one she would have got on better, That's the mind of a V though really. Faster, faster faster! Lissy was right into the thick of it all. at nearly Two years old it was vastly impressive to see her working out what she had to do. It may not have the wow factor of picasso, but still impressive none the less. Daddy had a go too during the Playfest. I can ohnestly say It's a truly relaxing thing to do for both parent and child. Especially moreso with a cup of tea and some chocolate there to hand too! The set is a great educational tool too, with the patterns by numbers, akin to painting by numbers, the children have to look at the instructions to make sure they are doing it correctly. 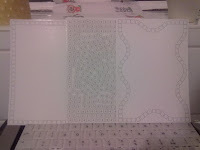 resulting in a few mistakes which make the pieces unique to our girls. 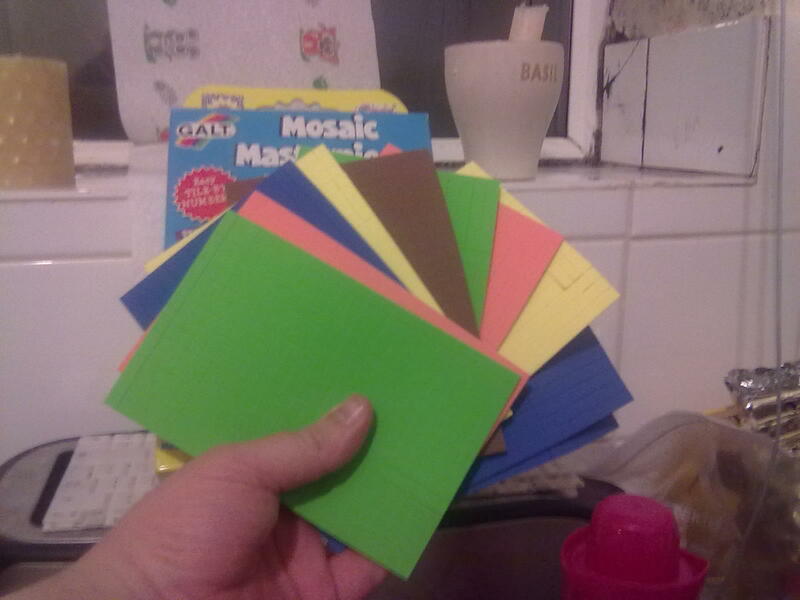 The Mosaic Masterpieces is a success of sorts here with my youngest daughter using most of the set already I can confidently say the set gets an amazing 4 stars, and that may go to 5 when they both understand the colour to numbers. 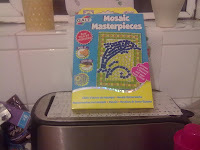 There will be more to come in the tests with Mosaic masterpieces in the next few weeks. Including a few guests and hopefully a video too! Until next time, See you soon - Paul! Great Job in this post Paul. Thanks for so much detail and effort. Always appreciated.